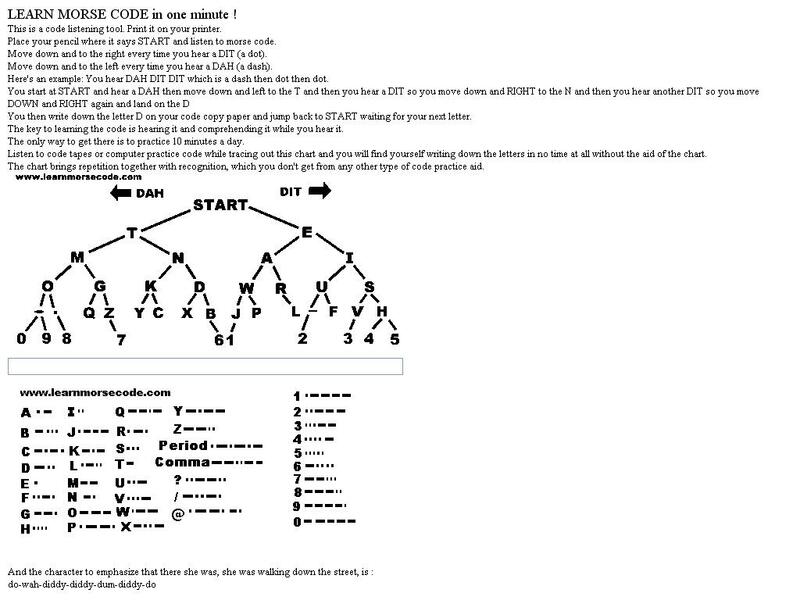 And easy chart to learn Morse code. I haven’t tried it, but it’s so simple to figure out that I’d bet that it would work. Update: I decided to grab this image and put it locally on my site, just in case this disappears from the ‘net, as it often happens. I’m keeping the original link above, but JIC it disappears, here it is.